Madden hits West Hollywood in the recently released Jordan retro. 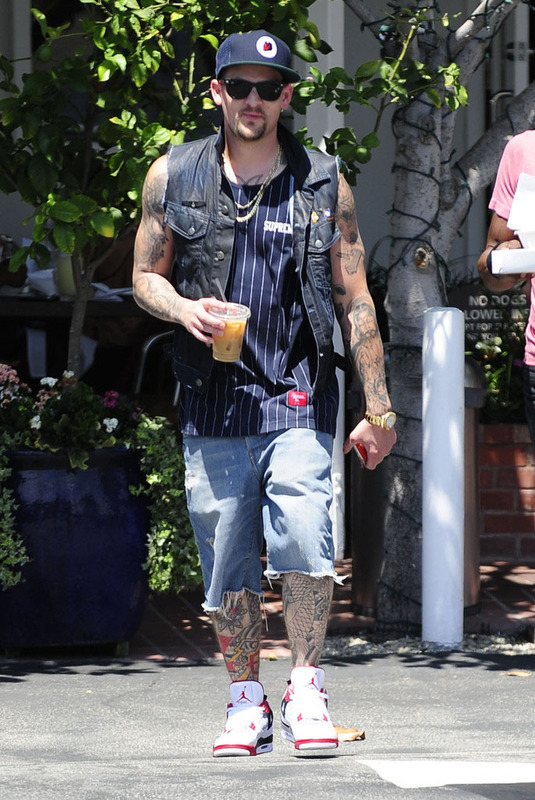 In between studio sessions, Joel Madden was spotted out in West Hollywood yesterday having lunch with a friend at Fred Segal. 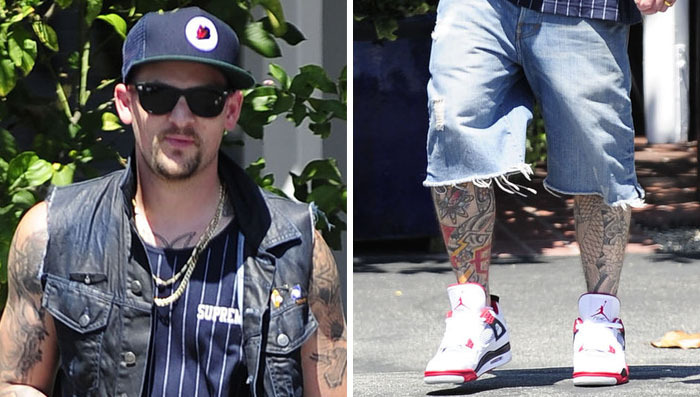 For the outing, the Good Charlotte rocker laced up the recently released Air Jordan Retro 4 in the "Fire Red" colorway. 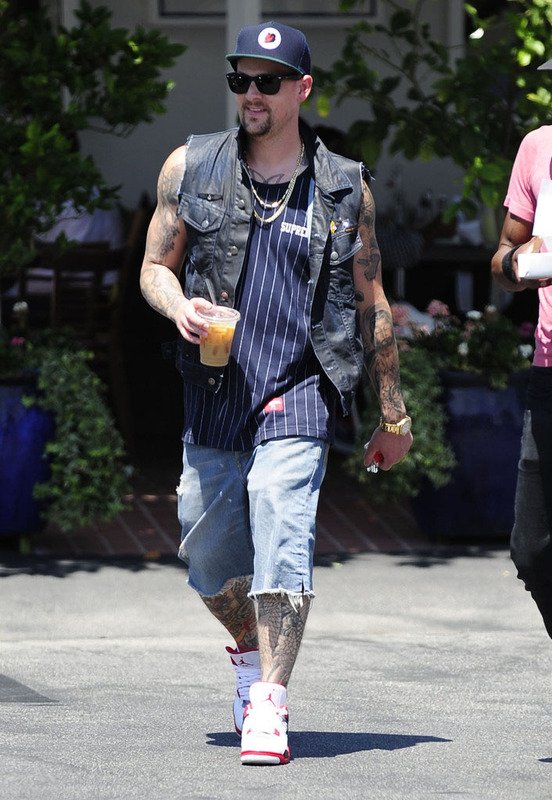 Check out a few photos of Joel wearing "Fire Reds" in West Hollywood below.